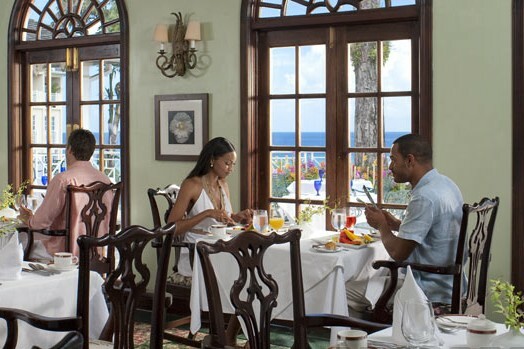 Unlike many other tourist hotspots, attractions in Montego Bay Jamaica has ideal weather, customized packaged attractions, excellent cultural tours and visits to great heritage homes with bewitching stories. These are just some of the attractions in Jamaica and specifically what Montego Bay has to offer that includes visits to theme parks, art galleries, exciting water activity. After all this is a beautiful resort area with great homes like Rose Hall, delicious food and shopping galore. For beach and sport lovers Aquasol Theme Park at Walter Fletcher Beach awaits with its dazzling white sandy beach, offering comprehensive water sports attractions. Attractions include jet skiing, parasailing, go-kart track, tennis and basket-ball courts, beach volleyball, and glass bottom boat rides. It packs plenty of enjoyment especially for young folks or if you love adventures and sports. Visit the very attractive deck bar, the Voyage sport's bar, that opens very late every night, where you will find great food, drinks and snacks. If you love art and photography or are just curious about rich and vibrant Jamaican culture and art heritage, you must visit the Gallery of West Indian Art. Renowned for their higher-end hand-carved and painted wooden animals with a huge range of artworks. Also, visit Lester Art Gallery where you'll find great works of Michael Leszczynski, a polish sea captain and painter. Lester Art Gallery was his studio and his home that he started in the mid-20th Century in the village of Belmont. Montego Bay's Marine Park offers an unique, mind blowing experience of underwater adventures. They have a submarine like boat called the Coral Sea that is ready to take you six feet underwater in a big air conditioned compartment! Inside the Coral Sea is airy and it is so exciting to see such beauty underwater. If you already enjoy sailing, scuba diving, swimming and other water activities this underwater adventure is truly one of the top attractions in Montego Bay Jamaica. 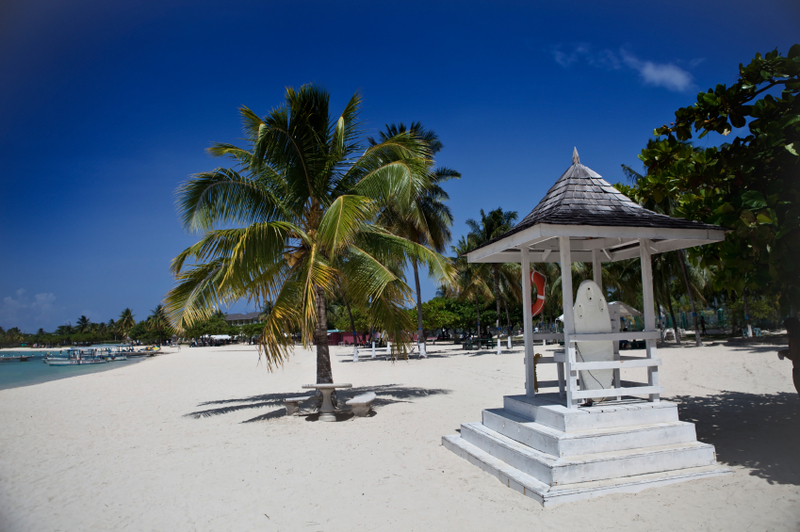 Rose Hall Beach Club is one of the many fun beaches located east of Montego Bay main road. It is a water sports destination ready to dazzle you. The shores offer soft sands to walk on and is perfect for its beach volleyball courts and all kinds of beach activities. There is an admission fee and the opening hours are from 9:00 am to 5:00 pm daily. The beach club is famous as the best place for all water sports activities. 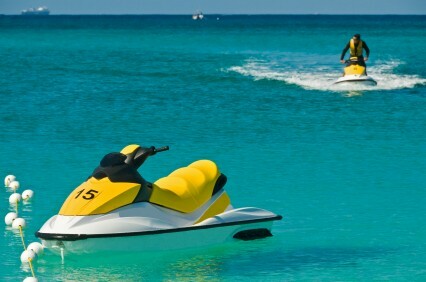 Know for its advanced aquatic activities facility, you can rent equipments to snorkel, do some kayaking, water-skiing, fishing and para-sailing in the brilliant clear turquoise waters of the Caribbean Sea. I like to taste different types of cooking, something different from the hotel fare. On the way to the beach, with the different food flavors wafting in the air, I usually grab something from one of the many famous street food vendors that offer variety of delicious foods to eat on the beach or at the picnic tables. But note there is also a restaurant on location that serves up delicious beach food. For tasty and exotic foods visit dinning places such as Docks Caribbean, Dunn's Villa, Ma Lou's and The Pelican to name a few. 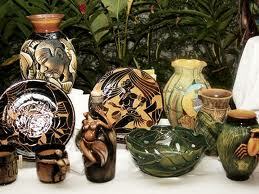 Shopping in Montego Bay Jamaica is an amazing experience for its shoppers. Mostly evening and night times are the best time to go shopping and dining. Half Moon Shopping Village, City Center Plaza and Holiday Village offer great deals on local and branded temptations.